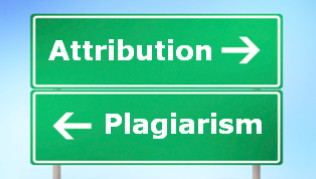 Attribution or Plagiarism, which road will you choose? Abstract: Professional conduct requires appropriate attribution and citation to authors and rights holders where information has been utilized in the creation of new publications or course delivery, Attribution or Plagiarism, which road will you choose? The creation of original educational content can be incredibly time consuming, we ourselves have spent thousands of hours engaged in formal studies, clinical practice, intensive research and consultation with our advisory network in the preparation for creation of some of our courses and educational publications. Some of the content that we produce is provided during training programs other content is provided to the industry to read completely free of charge, in all circumstances naturally we reserve our rights to any intellectual property that we create as is the case with the majority of educational content providers. All degree based programs emphasize the importance of Citation & Attribution when creating new material, reproduction of large portions of prior works generally require the permission of the copyright holder, even if only a small portion of a prior publication is quoted a citation should be included to provide reference to the original publication. Rewording, paraphrasing, or otherwise utilising previous works in the construction of new content may require consent and should always include attribution for the prior hypothesis, discussion, and intellectual property from the original publication. CosmeticTattoo.org has published what are widely regarded as mainstream principles in regards to the utilisation of intellectual property. There are some notable examples within the scientific community where scientists have been turned into professional and social pariahs by their own scientific colleagues due to their failure to acknowledge the research or contribution by others within their publications, in some instances careers have be ruined due to a single act of plagiarism. During the 2014 American Academy of Micropigmentation XPO Dr. Dixon emphasized the AAM position in relation to the misrepresentation or misuse of materials such as client photographs; for example falsely claiming the work of others, photo-shopping photographs in an attempt to mislead clients into believing that outcomes would be significantly different to what could reasonably be expected, or misrepresenting images taken immediately after cosmetic tattooing and passing them off as photographs of completely healed tattooing. Unequivocally Dr. Dixon stated that the AAM considered these types of activities to be a form of professional fraud. The laws surrounding intellectual property are complex, in addition to copyright law most jurisdictions also have trading laws that prohibit the act of "passing off" which is essentially trading in way that a consumer may be misled into believing that you are affiliated with or the owner of trademarks or other property owned or created by another trader, CosmeticTattoo.org has also published what is widely regarded as the standard approach for notification of the misuse of copyright which you may find useful if the this type of event affects your intellectual property. There are examples of this type of activity taking place in the Cosmetic Tattoo industry fairly regularly and some technicians have even taken to publicly naming and shaming others who are using their intellectual property for the purposes of marketing without their consent (at the very least you should include ethical attribution). Whilst it may be upsetting in each individual case this type of misrepresentation might only affect a relatively small group of technicians or clients in each instance. We mention what we consider to be a more pernicious form of misrepresentation pertaining to educational content; it is not uncommon for technicians to obtain educational content or attend training events that may have involved the deployment of substantial resources by the education provider; theoretically the technician could then repackage the content with name changes or by paraphrasing content and falsely claim they are the creator of a new technique, educational course, or philosophy of practice, without the required ethical attribution to the original education provider or rights holder. 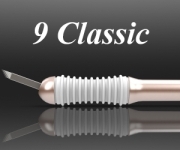 You will note that many of the dedicated Scalp Micropigmentation Clinics will not provide education to the wider industry outside of a franchise agreement and they closely guard their procedures, equipment, and techniques with the use of patents and trademarks, quite obviously this is because of the fear of losing ownership and control of their intellectual property, their concerns are well founded. "Media platforms are changing, and the consumers of information are increasingly becoming the creators of information as well". The important point being made is that consumers of educational content (both students and other educators) need to be aware that their purchase of any form of education or educational content does not confer the right to simply repackage and claim authorship of the content. "collection of data, or general supervision of the research group alone does not constitute authorship". Similarly the collection and rewording of previously published/presented educational content does not constitute authorship it is merely reuse of the intellectual property of another author, it is far more ethical to simply quote the original author with proper citation. It discourages involvement in the industry by health professionals and professional educators. Why would health professionals and professional educators want to be involved if they are not going to be credited for their contribution? It discourages significant investment in comprehensive educational programs. Why would professional educators want to continue to invest time, money, and resources in the creation of unique educational content if others are going to misrepresent it as their own work? It discourages researchers and educational content providers from providing educational material to the industry free of charge. Why would researchers and educators want to give away education if they are not going to be correctly cited and attributed for their contribution? It encourages protectionism and the hoarding of knowledge & expertise by innovators. Why would innovators want to share knowledge and expertise if they are going to lose control and ownership of their IP? Other industry members and students may be misled into believing that a plagiariser has skills and expertise that actually emanate from the original author. Ultimately this can lead to undue reliance on other information from the plagiariser that may have limited validity. It muddies the water in regards to the historical progression of the industry. If multiple industry members falsely claim credit for the same innovation how can the industry rely upon its own history? If the micropigmentation industry wishes to follow the same path as the majority of other professions then ethical Citation & Attribution need to be the industry norm. First Offender Plagiarisers and or their publishers will be issued notifications urging them to comply with our copyright and ethical attribution policies. NB. If you receive a notification from our administration you should not ignore it as we may interpret this to be an intent on your part to continue misusing copyrighted material, all reasonable steps should be taken to rectify the plagiarism. Second Offender Plagiarisers will find full details of the plagiarism published on CosmeticTattoo.org identifying the plagiariser and or their publisher as repeat offenders. In the event of Third Offender Plagiarisers or very serious cases we may seek a court injunction on behalf of our authors to prevent ongoing misuse of intellectual property. In this instance the laws and courts of the State of Victoria Australia will have force and effect and competent jurisdiction. Lynn D. Lampert. Combating student plagiarism. Chandos Publishing 2008. P28. Copyright © 2014-2015 CosmeticTattoo.org & the article author All Rights Reserved. No copying, transmission or reproduction of site content is permitted without our prior written consent. Disclaimer: The content of this article should be regarded as general information & is provided solely for the purpose of discussion & is not intended to replace cosmetic tattoo training or legal advice in any instance, always check with a cosmetic tattoo master trainer and or a qualified legal practitioner before acting on any information regarding cosmetic tattooing or in relation to any legal circumstance. Printing Restriction: This article is print disabled, please read our Intellectual Property & Copyright Policies if you would like to request a copy or permission to use the article content for any purpose.